Grand Reopening Day Continues - All CODES in effect til Monday Midnight! 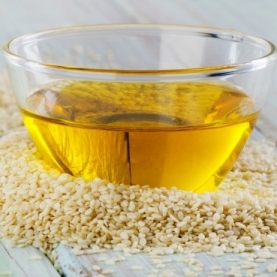 Sesame Oil is a great warming, emollient oil. Excellent for dry skin, regenerative skin conditions, as well as great for hair and nails. Sesame oil is traditionally used in Ayurvedic traditions for oil pulling, for oral health.